Our hybrids Echeveria ‘Neon Breakers’ and Aloe ‘Blizzard’ were among the recently featured succulents in the March 2018 issue of San Diego Home/Garden Lifestyles magazine (garden planner section)! Farmers and ranchers are often called stewards of the land because of their close connection to it. They hold true to the belief that they can and must enhance natural resources and protect the environment, while simultaneously producing food, fiber and energy for a growing world population. The Leopold Conservation Award honors landowners who demonstrate such a commitment, including 2015 recipients Jim and Mary Rickert of Shasta County. Ken and Matt Altman of San Diego and Riverside counties and Bruce Hafenfeld of Kern County were finalists for the 2015 award. In California, the Leopold Conservation Award is presented by the Sand County Foundation, California Farm Bureau Federation and Sustainable Conservation. The S.D. Bechtel Jr. Foundation and the Nature Conservancy are major sponsors as well. Matt Altman, left, and father Ken Altman have implemented a number of efficiencies at Altman Specialty Plants to conserve resources. The family also founded a nonprofit center for researching and teaching sustainable horticultural practices. 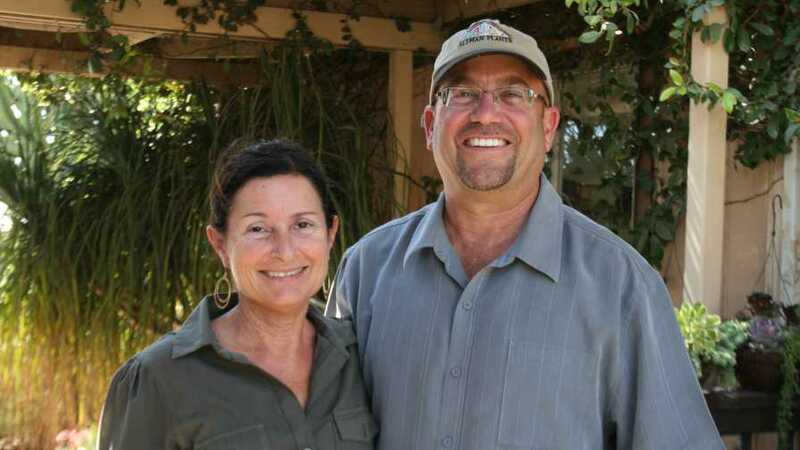 What began as an avid interest in plants for husband and wife Ken and Deena Altman is now a wholesale nursery business that encompasses more than 1,700 acres in six states. 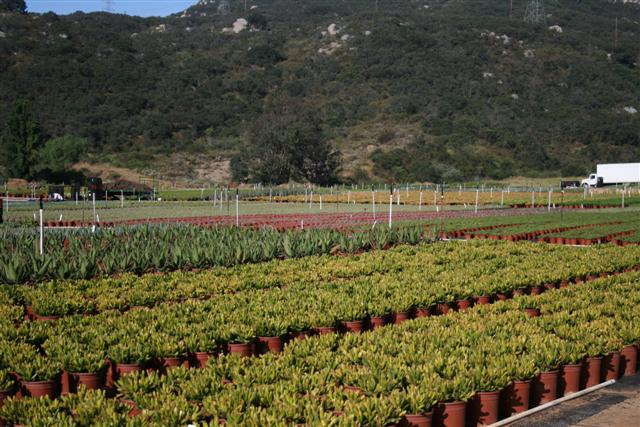 Altman Specialty Plants, today one of the nation’s largest horticultural growers, specializes in drought-tolerant and water-efficient plants. The nurseries are retrofitted with water- and energyefficient irrigation systems that reduce water use by 50 percent per acre, and soil-moisture sensors are being installed in container plants to further decrease water use. In addition, Altman Plants raises 5,000 plant species using integrated pest management, which controls pests in ways that minimize risks to people and the environment. The Altmans also founded the Center for Applied Horticultural Research, a nonprofit research and teaching center dedicated to advancing a sustainable horticulture industry. “There’s really nothing better than being able to do a good job with family, share your success and provide knowledge to others,” Ken Altman said. I like doing things at the last minute. Just-in-time delivery is how I justify my tendency to procrastinate. Which is why I had to do a one-day, redeye-flight trip to Southern California this week to get the cover story for the December GrowerTalks (which goes to the printer Monday—plenty of time!). Our subject? Altman Plants, which is, as best as we can tell, the world’s largest grower of cacti and succulents. We wanted to talk to owner Ken Altman about how he and his wife, Deena, got into succulents 40 years before the current succulent craze hit, and how they’ve been able to capitalize on their current popularity. Deena has stepped back from the day-to-day of the business so I didn’t expect to get to interview her, too. But apparently she was compelled enough by my list of questions to joined us for the interview in their succulent-surrounded hilltop back yard. – Their love of succulents started in the early 1970s when a cactus growing on Deena’s apartment windowsill unexpectedly bloomed. “I think it was that flower that just took our hearts away,” Ken says. – Their first foray into selling plants was via catalog. Their backyard plant collection had gotten so big, they decided to print a small catalog and offer their unusual specimens for sale. How did Deena justify this? “That’s not a nursery. That’s just mail order,” she told herself. – New product development is their lifeblood. Succulents weren’t always the hot sellers they are today. In fact, it wasn’t too long ago when they could hardly give them away, Deena admits. So they got very good at developing new products, new packaging and new uses, such as a full line of low-cost landscape succulents. I spotted this cool new item, a crassula (jade plant) topiary, on the deck outside their office. What few people know about me is that I was raised by a professional artist who managed galleries and gave art lessons, so I had a pencil or brush in my hand from a very early age. I never pursued painting, instead choosing writing, music, woodworking and gardening as my creative outlets. But I know good art when I see it, and I greatly admire Deena’s talent with watercolors. I mentioned that Deena has stepped back from the day-to-day of running a big nursery. She did that to finally try her hand at painting—something she’s always felt she had a knack for, she just never had the time to find out. So after giving her nursery duties over to others (Ken says it took five people to replace her), she set up a home studio and began taking lessons, quickly discovering her latent talent. She’s good enough, in fact, to have been invited to participate in an international juried watercolor exhibition—a high honor!